We now accept credit cards. NOTE: Send email if you would like a button added to a specific item. 1A0024-3 anaren directional coupler 3dB..
40256 Anaren 3 dB type N power divider 2-4 GHz. 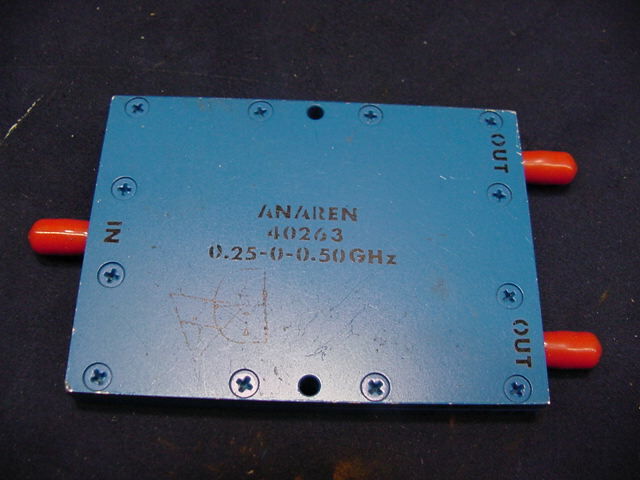 40266 Anaren 3 dB sma power divider 2-4 GHz. 40274 Anaren sma 4-way power divider .50 - 1.0 GHz. H-8-4 anzac power divider 1-2000 MHz (type N) NEW! HP 11850A & C HP click here . .
HP 764D HP 216-450 mc dual dir. 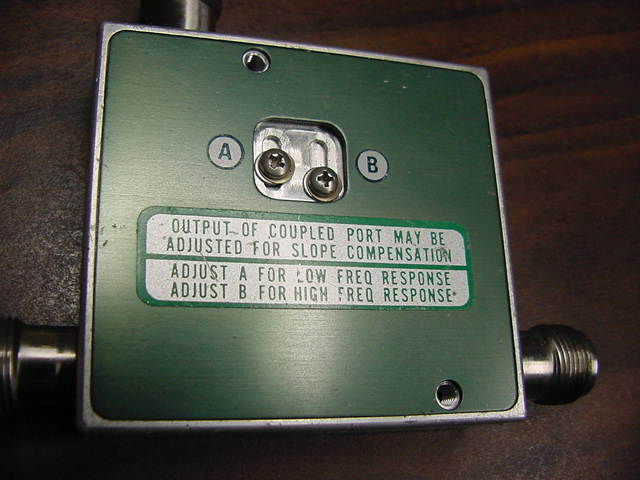 cplr -20 dB. 100 . .
HP 774D HP dual directional cplr. 215- 450 MHz -NEW IN THE PACKAGE! 450 . HP 775D HP dual directional cplr. 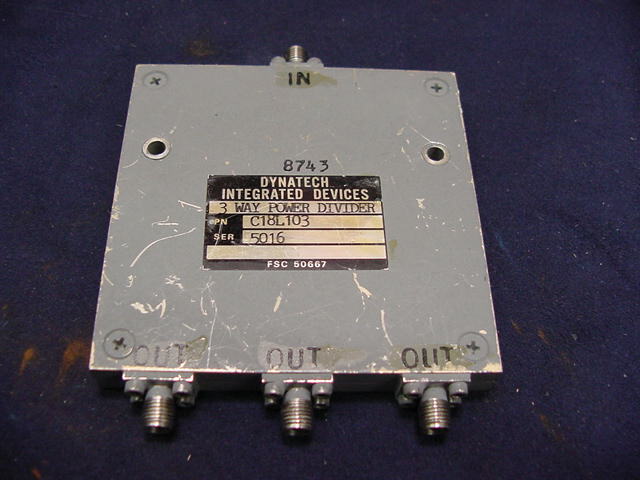 400-1000 MHz 350 call for avial. .
HP 776D HP dual directional cplr. 940-1900 MHz 450 . HP 777D HP dual directional cplr. 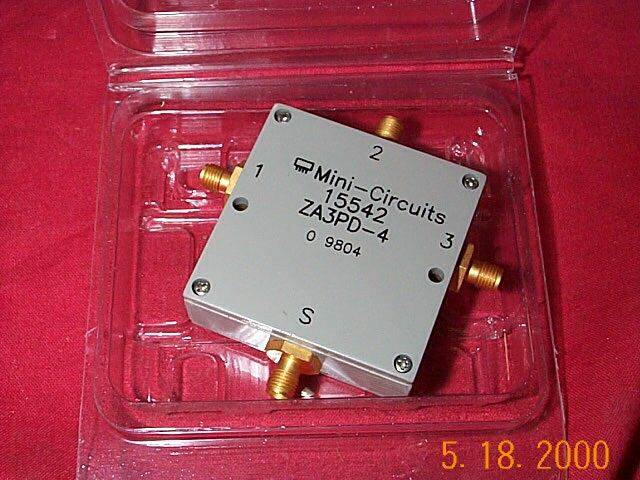 1.9-4 GHz 250 . HP 786D HP 960 - 2110 MHz dir. detector 150 . .
HP 787D HP directional detector 1.9-4.1 250 . .
HP 797D HP 19.9 dB directional cplr. 1.9-4.1 250 . .
HP 798C HP 10 dB directional cplr... 250 . .
HP 87300B HP coupler -10dB 1-20GHz 900 2ea . HP 87300C HP coupler -13dB 1-26.5GHz 1000 call for avail. .
HP 87300C HP coupler -10dB 1-26.5GHz -data- 1000 call for avail. .
D334S KDI (also see Triangle Microwave) 8 way power divider sma. 250 AB06 call for avail. 4098A1 Maury Microwave 3precision directional coupler 240-270 Mhz 300W. C1-30 MCLI 0.5-1 GHz sma 30 dB directional coupler -- -. C2-30 MCLI 1-2 GHz sma 30 dB directional coupler- -. 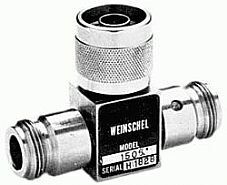 C36-10 MCLI 0.8-3.0 GHz sma 10 dB directional coupler -- -. NEW! CBF-10A-375 MERRIMAC CBF-10A-375/71114EM mic cplr. PDM-21M-3G MERRIMAC 2-4 GHz sma 3 dB splitter -image- - NEW! 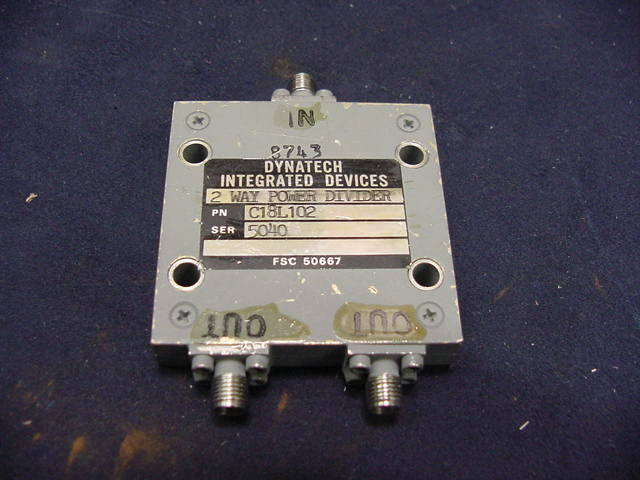 PDML-60-500 MERRIMAC 50-1000 MHz 6-way splitter 10 ea. ZX10-20-20-S+ mini circuits sma power divider 200-2000 MHz (NOS) -- SPECIAL PURCHASE! 2020-4025-06 omni spectra 49956-570914-3 sma dir. cplr. 2020-4027-10 omni spectra 49956-848071-2 sma dir. cplr. 2020-4029-30 omni spectra 49956-848071-4 sma dir. cplr. 2023-4044-06 omni spectra 8-12.4 GHz 6 dB sma hybrid. coupler w/term. 2023-4052-20 omni spectra 8-12.4 GHz 20 dB sma hybrid. coupler w/term. 2035-4013-00 omni spectra sma hybrid. coupler w/term. 2032-4010-00 omni spectra 49956-570935-2-K sma hybrid cplr. 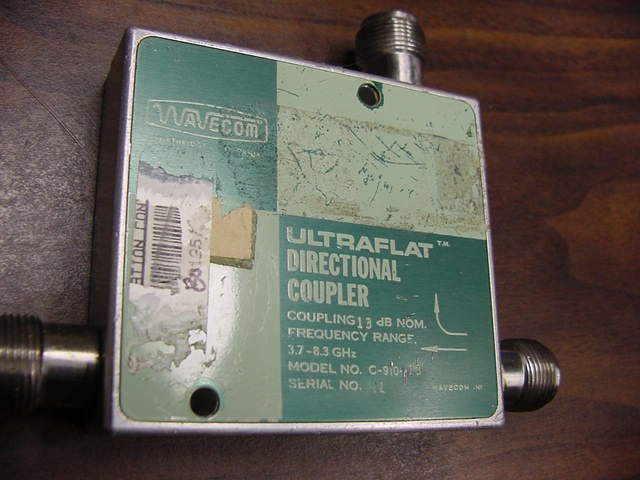 C-901-6 Wavecom 3.7-8.3 GHz 10 dB precision high directivity dir. coupler N m,f,f NEW!